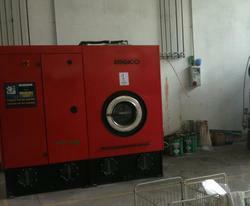 Bankruptcy asset sales of used industrial laundry machinery. Make your bid! Do you have an industrial laundry and need some cheap machinery? Trust Industrial Discount! Our online auctions are particularly suitable for those who don't have time to complete an investment and look for a flexible and convenient solution for purchasing used industrial laundry machinery. We are an international auctioneer specialized in the sale of used industrial laundry machinery and equipment. You can even find used industrial laundry carts and much more! All the items for sale on our website come from bankruptcy procedures; this results in a price much lower than what can be obtained for the sale in the normal market, assuring a great saving. In addition to being affordable, our online auctions are safe and reliable; every day we collaborate with the major Courts to offer you only transparent and verified transactions. Choosing an industrial laundry machine can be hard: that is why each item is provided with a full description, technical specifications and high-quality photos, which will help you make the most convenient choice for your business. And if that's not the case, you can contact the auction agent and ask for more technical details, or even set up a visit on-site of the item of your interest. By attending the judicial auctions on Industrial Discount, you can make your bids online, tracking in real time the relaunches of other participants through the Watchlist feature in your account. Register for free and make your offer now to get the most affordable used industrial laundry equipment!